Conor O'Malley; Ger O'Brien (Conor McCormack 74), Sean Hoare, Kenny Browne (Lee Desmond 86), Ian Bermingham; Greg Bolger; Chris Forrester, Killian Brennan (James Chambers 70); Conan Byrne, Ciaran Kilduff, Aaron Greene. Richard Brush; Alan Keane, Gary Boylan, Stephen Folan, Jake Dykes; Sander Puri, David Cawley, Keith Ward (Gary Armstrong 61), Danny Ledwith (Raffaele Cretaro 61); Steven Beattie; Morten Nielsen. 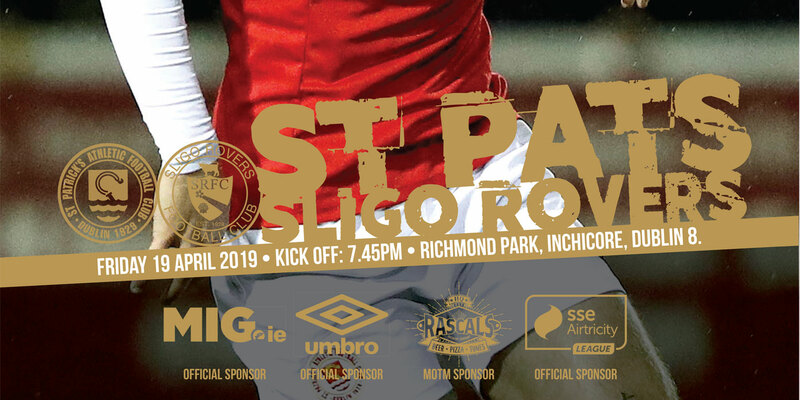 A clinically taken brace of goals from Aaron Greene against his former club helped earn St Patrick's Athletic an emphatic 3-0 SSE Airtricity League Premier Division victory over Sligo Rovers at Richmond Park. Greene headed home an Ian Bermingham cross for the lead on 17 minutes. The winger added Saints' second goal when drilling home on 55 minutes before Chris Forrester added a late third to extend the Saints' unbeaten run to seven games. It was a sad way to mark the 32nd anniversary of their first FAI Cup win for Sligo who were without midfielder John Russell in their only change from Monday's home draw with Bohemians. St Pat's brought both Sean Hoare and Greg Bolger back into their starting eleven following Monday's frustrating home draw with Drogheda United. And it was a slick passing move from Liam Buckley's side that carved the first opening on six minutes. Forrester weaved forward to play the ball out wide left for Greene. The cross was met by Conan Byrne whose header was straight into the grateful arms of Richard Brush. Sligo defender Gary Boylan, on his 19th birthday, then did well to block away a shot from Forrester as Greene was again involved in creating the opportunity. The goal was coming for the home side, though, and it duly arrived on 17 minutes. A swift counter saw Bermingham get forward from full-back on the left to sweep over a delightful cross which Greene glanced to the net off his head. It should have been 2-0 three minutes later. Again, Bermingham got away on the left to cross from the end line. Byrne was off target with the finish, though, planting his header into the side netting. 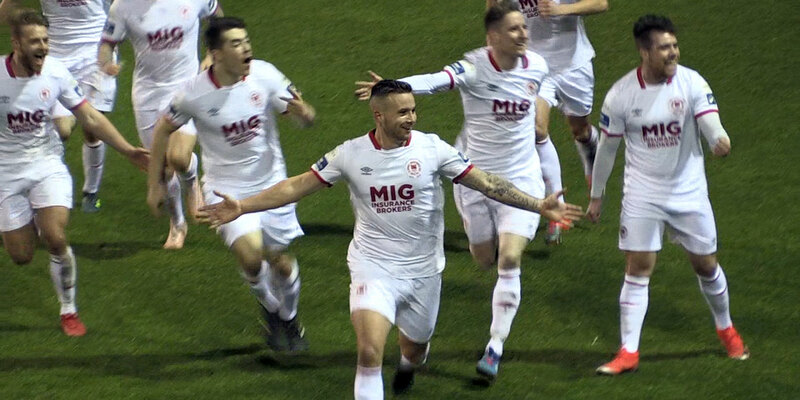 Brush was then there to rescue Sligo a further two minutes later when pushing Killian Brennan's free kick out for a corner. The Sligo keeper was involved far too much than he would have wanted as he was worked again on the half hour, parrying away a stinging drive from Greene. But it was a brilliant save at the other end four minutes later that kept the Dublin side in front. Morten Nielsen and Keith Ward set up Rovers' skipper David Cawley to shoot. Conor O'Malley sprung to his right to tip the shot onto the bar and out for a corner. 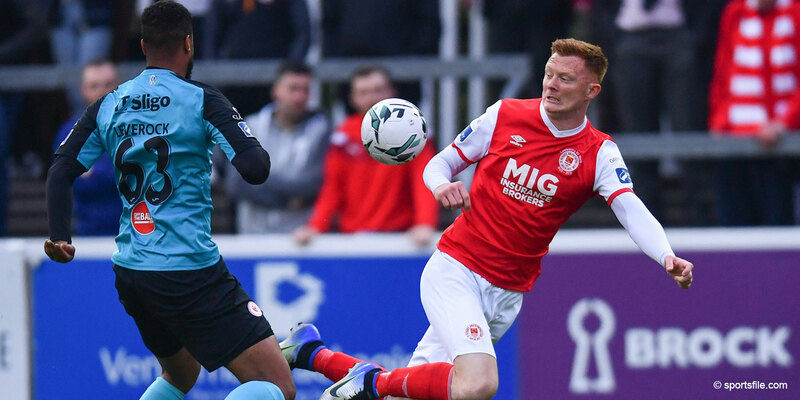 Pat's responded and had the ball in the Sligo net a second time on 40 minutes, but it was not allowed as Ciaran Kilduff was booked for using his arm to turn in the cross. Kilduff might have had a penalty in the first action of the second half on 52 minutes when he appeared to be hauled down inside the area by Boylan. Referee Paul Tuite was unconvinced. That frustration was soon forgotten on three minutes later as the impressive Greene doubled the lead. Forrester was once more involved, playing the winger in on the left. Greene's powerfully drilled low drive found the far corner of the net. Forrester got a deserved goal on 84 minutes when bursting through from midfield to score with a perfectly placed low right-foot shot from some 25 yards.